You look back after a natural disaster and you realize that something beautiful arose from the wreckage and the stink — the great pulling together. Crisis calls us to our better angels; we remember what matters. It’s the upside of awful. 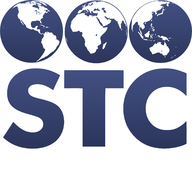 In this issue, STC President Todd Watkins reflects on how Hurricane Katrina led to the creation, almost overnight, of the first national immunization registry. And then we get a glimpse of how Walmart uses its immense resources to keep its pharmacies operating in the midst of crises. Hurricane Katrina made landfall near Grand Isle, Louisiana on August 29, 2005 as a Category 3, with winds of 127 mph. Failed levees led to devastating flooding. 1,833 fatalities. Total damages of $125 billion. More than a million residents displaced, with over a quarter million in shelters and eventually more than a hundred thousand of those placed in FEMA trailers. Approximately 25,000 evacuees were housed in the Houston Astrodome. It was that last item, all those souls stuck in the Astrodome that led to our initial involvement. Not only was STC housing Louisiana’s immunization information system (called LINKS), but we were consulting with the health department in Houston Harris County on their IIS, so we sent a team of four to the Astrodome to help the medical personnel determine the vaccine status of the evacuees. We were able to quickly set up a bidirectional link between Louisiana’s LINKS and the database in Houston Harris County. That was, to my knowledge, the first time vaccination data had crossed state lines in a substantial way. Within the week, the CDC got involved. They got us on the phone along with our colleagues in Louisiana. Evacuees were heading to every state in the country, including Alaska and Hawaii. Could we do what we’d done with Texas in other states? Yes, we could. Within days, any state could access the vaccination data. That was – again, to my knowledge – the first national immunization registry. That was a big deal. Imagine that you are the parent of school-age kids, displaced from your home and in a new state and town. Katrina happened around the start of the school year, and to enroll your kids in school you need proof of vaccinations. If we hadn’t been able to provide the immunization history to the authorities in all the other states, imagine the cost to provide and administer these duplicate vaccines. More importantly, imagine the hassle for you as the parent to navigate the complicated world of child vaccines. Most importantly imagine subjecting your kids to the additional trauma they would have to endure from having to receive additional injections. We were proud to have helped all those kids and parents. A study published in the Journal of Public Health Management and Practice estimated that 21,000 queries (a fraction of the total queries made) of LINKS from outside Louisiana saved $4.6 million in revaccination expenses, not to mention all the savings within Louisiana. How hard was it to connect the nation to Louisiana’s data? It was easy. Technologically easy. Once the bureaucratic walls came down, we were done in a week. It still amazes me to look back and see how simple it can be when everyone has a cause. Now, nearly 15 years later, we look back and we know that we have the ability to rapidly overcome any obstacles to doing our part to rid our country of vaccine preventable diseases and to save tens or hundreds of thousands of lives. That’s our cause. Hurricane Katrina helped the folks at Walmart realize the role they could play in disaster relief; after all, they are the masters of logistics, getting necessities to every corner of the country. But what about when a natural disaster hits the Walmart store itself? What happens when the pharmacy, with its most necessary of necessities, medical supplies and prescription drugs, is under water or in a store crushed by a storm? Those are questions answered for us by Brian Richard, a pharmacist who is now Walmart’s Senior Director of Health and Wellness Quality Improvement. The problem in Waveland was not just that the Walmart was closed, but that there were no open pharmacies in town. Zero. But Brian and his team knew what to do. They had first utilized a mobile pharmacy to respond to a disaster nearly a decade earlier, back in 1996, using an old Walmart trailer that had been remodeled to be a fully functioning pharmacy. So, with Katrina and having that experience, they packed a travel trailer with supplies and sent it on its way. This served as an interim solution until a fully functioning temporary pharmacy could be constructed on site. As you can see in the photos (taken by Brian), they improvised and ended up using a counter made of cinder blocks topped by a piece of plywood to help greet and serve the patients in that community . They worked like that for months to serve the community of Waveland, MS until the Walmart store itself was able to function again. Walmart Pharmacy now has a new option to help respond should a community experience a disaster. While waiting for a local community to get retail pharmacies up and running again, Walmart can deploy their newly developed mobile pharmacy to help serve that community at a moment’s notice. Here, in the photo below, is their new emergency response mobile pharmacy. Keep Your Eye on Density! That’s right – population density, not destiny. Recent Census updates (January 2019) paint an interesting picture of where the population will be growing across the US over the next 5 years. While you have probably already learned what’s in store for your State, population density will probably not be a statistic you thought a lot about. Population density has a great deal to do with the transmission of infectious diseases; increasing density of people raises the risk of disease transmission, perhaps creating disease “hot spots” in what otherwise appears as desirable community growth. Little more than half (57%) of all counties in the US will be experiencing a gain in total household population by 2023. This group of counties will be absorbing over 13.2 million new residents over the next 60 months, that’s about 7,200 people per day, every day for the next 5 years. Packed into those numbers however is something else you should be watching – population density – especially in smaller geographical areas, like Zip Codes, Block Groups and Census Tracts. While this analysis only focuses on the county, similar data is available at smaller geographical levels for those interested in looking into smaller geographical areas within their markets. A preliminary look at the new population projections at the county level reveal that there will only be 11 counties where more than 500 new people will move into the county each month for the next 5 years. Many of these counties will also see significant increases in the densities of their populations, most 3 to 6 times greater than most other counties across the US. Here are the 11 counties (6 in Texas) that will see more than 500 new residents each week for the foreseeable future, their respective population density growth, and the number of new residents expected over the next 5 years. The map below shows where expected population growth over the next 5 years will be distributed and where the ”super gainers” are located. As you can see, most of the gainers will see very modest growth, while a smaller number will experience excessive growth. Knowing about population growth is important but identifying counties that will see a significant increase in population density is equaling important. If you would like a PDF of the list of the 1,787 growth counties, with estimates of population growth and density increases, you may request it here.